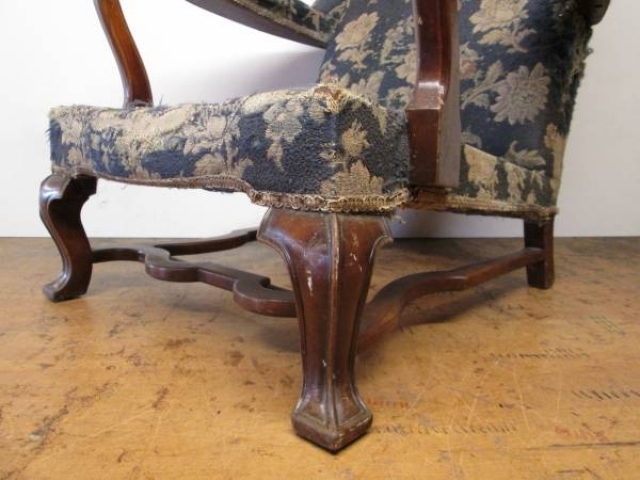 A rare solid stained beech wingchair. 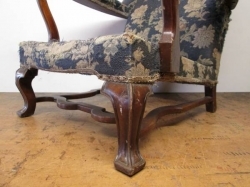 This is a superb quality chair with the most attractive ornate cabriole front legs and has the most beautifully shaped crossed stretcher, which was created to match the William & Mary period. 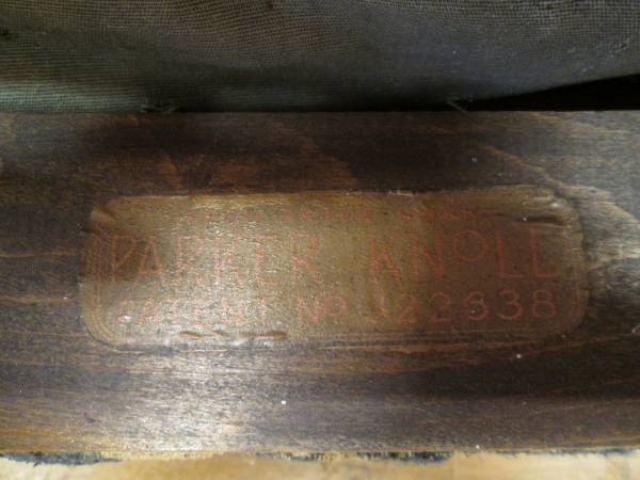 The chair also has its original patent number on the Parker Knoll factory label (as picture shows). Another lovely feature to the chair is the styled scroll top which is not associated with later vintage Parker Knoll chairs. 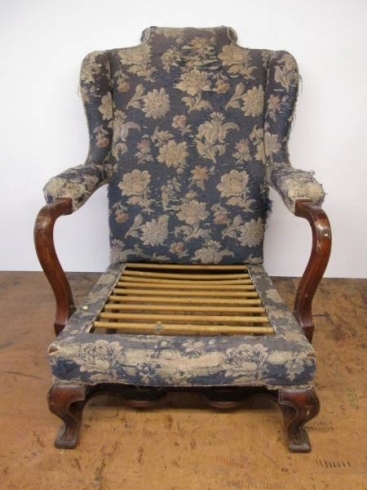 This is a totally original chair with its horse hair padding which dates it to pre 1950. 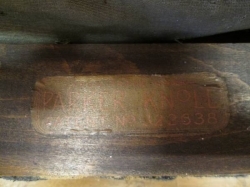 Here at Chairs of Oxford we are specialists in restoring Parker Knoll chairs. 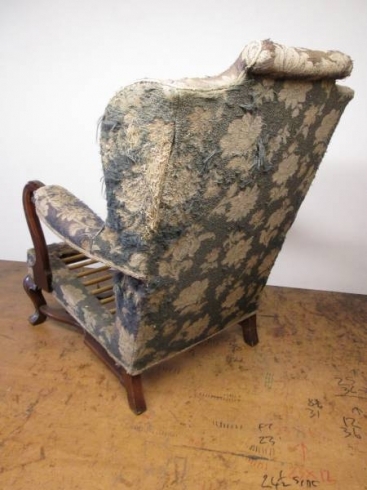 Please phone for re-upholstery options and pricing. Dimensions - height 91 cms, width 71 cms, depth 82 cms.